Problem statement – Detection of intermittent atrial fibrillation (AF) is done using a 24-h Holter. Holter recordings are powerful but lack the comfort and have limited recording times resulting in under diagnosing of intermittent AF. Project goal – Within this work we evaluated and compared a novel miniaturized three-channel ECG monitoring patch versus a 24-h Holter system. Study design – Both patients with a chronic AF rhythm (n = 5) as well as patients with an AF rhythm that underwent electrical reconversion (n = 5) were equipped with both a 24-h Holter and ECG patch. Results – The performance of the wearable ECG patch matches that of the 24-h Holter and could provide a suitable tool for long-term monitoring applications. 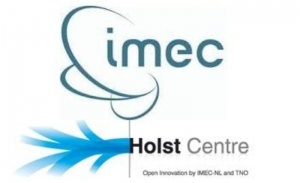 This validation study fits in the larger research collaboration with the HUMAN++ department of the Interuniversity Microelectronics Centre (Imec, Holst Centre, Eindhoven, The Netherlands) on enabling innovative technology towards clinical use. The ultimate goal is to co-develop a highly integrated and flexible sensor platform for multi-parameter & longitudinal data collection. This platform will allow to monitor complex chronic diseases, such as COPD, heart failure, sleep apnea, diabetes, chronic kidney disease and so on. Essential is the non-invasive and wearable character for the patients comfort. The challenge is to accurately monitor biometric signals in an uncontrollable environment.